Sometimes we have to work overtime and when we do this, we expect extra money. What if your employer doesn’t pay you anything extra when you are forced to work overtime? You should know your rights and how New Jersey and New York overtime laws protect you. Overtime pay refers to the additional compensation owed by employers to eligible employees who have worked more than 40 hours in a workweek. Interestingly, though, this workweek doesn’t necessarily have to coincide with the calendar week but can instead begin at any time or day as established between an employer and employee. Understanding when you qualify for overtime pay can be confusing and there are several common misconceptions about overtime laws. It is important to have a full understanding of the law so that you receive all that you are rightfully owed. The federal overtime provisions are contained in the Fair Labor Standards Act (FLSA). Unless exempt, employees covered by the FLSA must receive overtime pay for hours worked over 40 in a workweek at a rate not less than time and one-half their regular rates of pay. There is no limit in the FLSA on the number of hours employees may work in any workweek. The overtime requirement is based on total number of hours worked in a given workweek. Employers must calculate the workweek as a fixed schedule of a continuous, seven day, 24-hours per day schedule. It does not have to be Sunday to Saturday. It can start on any day of the week and end seven consecutive days later. Any hours worked beyond 40 in this workweek are subject to overtime pay. Different workweeks may apply to different employees or groups of employees. For example, a retail employer may use a Saturday to Friday workweek for sales staff but a Monday through Sunday schedule for managers. There are no overtime rules based on working more than 8 hours in a day or more than 5 days a week. There is also no requirement for employers to pay double time for any number of hours worked. The FLSA also does not require employers to pay overtime for weekend or holiday work unless that work brings the worker to a total of more than 40 hours in a week. Important: Just because you are paid a salary of at least $455 per week does not mean that you are automatically exempt from overtime pay. You must also satisfy the duties test to be exempt. 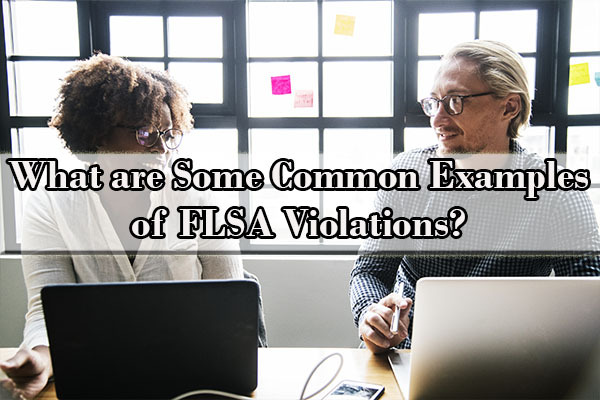 What are Some Common Examples of FLSA Violations? If you used to receive overtime pay and are now being told that you are no longer entitled to overtime pay because your employer recently reclassified your position as exempt while your job duties and/or pay rate never changed, there’s a good chance that your employer just wants to save money and is unlawfully denying you overtime pay to which you are entitled. Because neither your duties nor pay rate changed, your reclassification may amount to an admission that the company is violating overtime law. Your employer’s reclassification without any change to your duties or pay may constitute a “willful” violation. If you find yourself in this situation, contact a NYC labor lawyer. An employment relationship under the FLSA must be distinguished from the strictly contractual one of an independent contractor. Such an employment relationship must exist for the overtime provision of the FLSA to apply to any person. Under the FLSA, an employee, as distinguished from an independent contractor who is engaged in a business of his or her own, is one who, as a matter of economic reality, follows the usual path of an employee and is dependent on the business which he or she serves. Cheating employers attempt to save money by misclassifying employees as independent contractors so that they do not need to pay them overtime. This is illegal. The U.S. Supreme Court has indicated that there is no single rule or test for determining whether an individual is an independent contractor or an employee for purposes of the FLSA. Further, independent contractors also usually use their own tools and equipment, unlike employees who normally receive materials from their employer. There are certain factors which are immaterial in determining whether there is an employment relationship, such as the place where work is performed, the absence of a formal employment agreement, or whether an alleged independent contractor is licensed. If you have been misclassified as an independent contractor instead of an employee, you should consult a NY overtime lawyer as there may be a violation of the FLSA. Sometimes employers claim that their employees worked overtime “voluntarily” and therefore are not entitled to overtime pay. However, the FLSA does not recognize any job-related activities as “voluntary” or “off-the-clock” work. Compensable job-related activities may include taking work home, working through lunch, making or receiving job-related phone calls while at home, working before or after scheduled shifts, or taking care of work equipment. The law states that if an employee is working, he or she must be paid for those hours worked. If your employer refuses to pay you overtime because your employer claims that you “voluntarily” worked those hours, you may have a case for overtime law violations. Get a free consultation from a NYC unpaid wages lawyer to see if your rights were violated. Remember that the FLSA requires that employers keep certain records pertaining to wages and hours worked for all non-exempt employees for at least a three-year period. 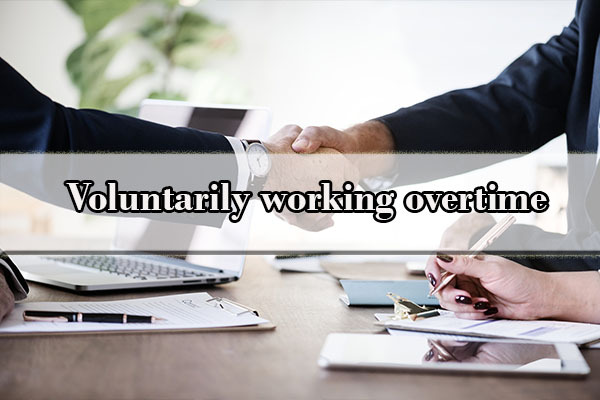 This includes the total hours worked each workday and workweek, daily and weekly earnings, total overtime paid, total wages paid, deductions or additions from wages, and the date of payment for each pay period. Neglecting to keep these records violates the FLSA. violation. It is recommended to keep your own records for purposes of comparison. Many employers tell their employees that they are not entitled to overtime pay because they are a “commissioned salesperson.” But if your job does not require regular travel away from your employer’s workplace, there’s a strong chance that you are a victim of the “commissioned salesperson” myth. This is true whether you receive a commission as the sole source of your compensation or in addition to a guaranteed salary, draw, or hourly rate. For this reason, many employees who perform inside sales, recruiting, and business development work, and whose jobs do not regularly require them to travel, generally are entitled to overtime pay. Failing to pay for all hours worked is one of the most common FLSA violations. If you’re a nonexempt employee, you must be paid for all hours you’ve worked. Work hours may include traditional work time, breaks that you work through, on-call time (if an employee is required to remain on company premises), time spent traveling while on business, and training time (unless the training is voluntary, non-job related, or occurs outside normal hours). Time spent at home performing certain job-related duties, such as responding to work emails or phone calls, must also be paid. If you have any questions, call for a free consultation with a New York overtime attorney. If you work in one of the aforementioned industries, you may be at risk of overtime violations. How is the Overtime Rate Calculated? The overtime rate of pay is calculated differently depending on how the employee is paid. Hourly Employees: Time and a half for all hours over 40 in a workweek. Salaried Employees: Weekly salary divided by the number of hours actually worked that week will give you the regular hourly rate for all hours worked that week. The employee is then owed another ½ time for all hours worked over 40 that week. Can an Employer Make you Work Overtime without Notice? An employer has the right to require an employee to work over 40 hours each week as part of the employee’s job. This is referred to as “forced” or “mandatory” overtime. Unfortunately, there is no notice provision in the federal law requiring any sort of advance notice. It is mandatory because an employee can be subject to discipline, reassignment, demotion or even discharge if he or she refuses to work the overtime. How Does Overtime Work in NY? What is the Overtime Law in New York? In addition to the FLSA, employees working in New York are also covered by the New York Labor Law. Pursuant to the New York Labor Law, all non-exempt employees must also receive overtime pay at the rate of 1½ times their regular rate of pay for all hours worked over 40 in a workweek. The exemptions under the New York Labor Law mirror, with limited exceptions, the FLSA exemptions. What are the NJ Overtime Laws? The New Jersey State Wage and Hour Law also mandates that all non-exempt employees be paid time and one half per hour for all hours worked in excess of 40 hours in a workweek. Additionally, also with limited exceptions, the New Jersey State Wage and Hour Law contains the same exemptions as the FLSA and the New York Labor Law. What if my Employer Violates Overtime Laws? Remember that failing to pay a non-exempt employee overtime compensation violates both federal and state law. If you feel that your employer is not paying you at the overtime rate required by law, you should consult with NYC labor lawyers to review your options. 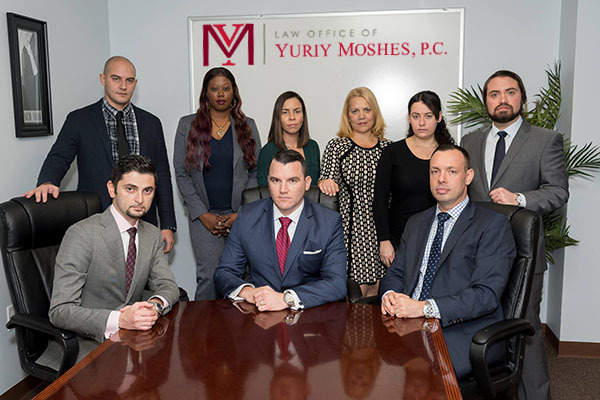 Experienced overtime attorneys at the Law Offices of Yuriy Moshes, P.C. can help you recover your overtime wages and force your employer to comply with the law. Liquidated Damages Award – Liquidated damages are an amount equal to the unpaid compensation or back wages award, which essentially allows employees to receive double their unpaid overtime for an FLSA violation unless the employer can show it acted in good faith and with a reasonable belief that it was not violating the FLSA. In the event the violation was willful, employees will be able to recover double back pay for the preceding three years, as opposed to the two-year period for non-willful FLSA violations. How to Make Sure That Your Employer Pays You Overtime? Get acquainted with the overtime laws in New York and New Jersey. If you have any questions, contact an unpaid wages lawyer in New York to determine the amount to which you are entitled. Keep an eye on unexplained “reclassifications.” If your employer changes your classification to exempt while your job duties stay the same chances are high that you will be cheated on your overtime wages. Keep your own record of hours worked, compare the employers time record with your own. If you find that your employer does not record all the hours you’ve worked – contact overtime attorney. Confronting your employer about the failure to pay overtime wages could be intimidating because employers will usually try to outtalk and trick the employee into believing that he or she is not eligible for overtime. If you find yourself in such a situation, contact an Employment Lawyers NYC at the Law Offices of Yuriy Moshes, P.C. We help workers in the New York City area including all of its boroughs (Manhattan, Brooklyn, Queens, the Bronx and Staten Island) as well as Northern New Jersey, Long Island, and Upstate New York.